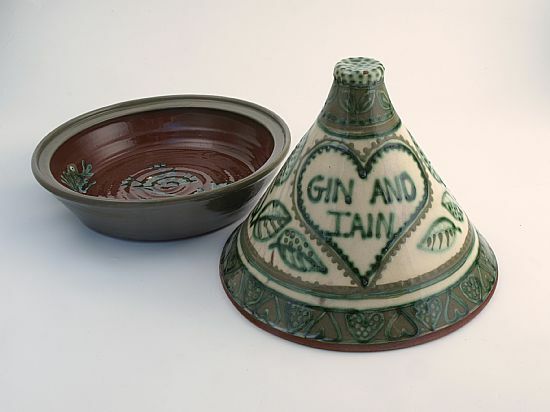 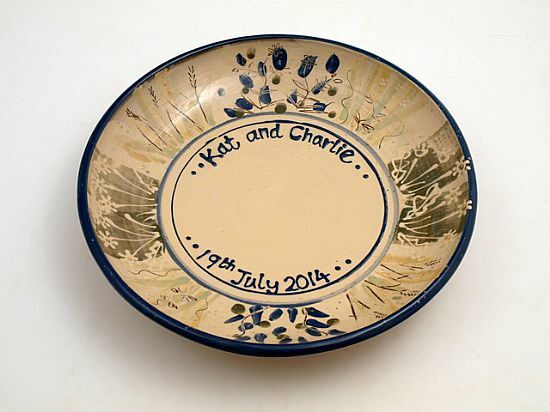 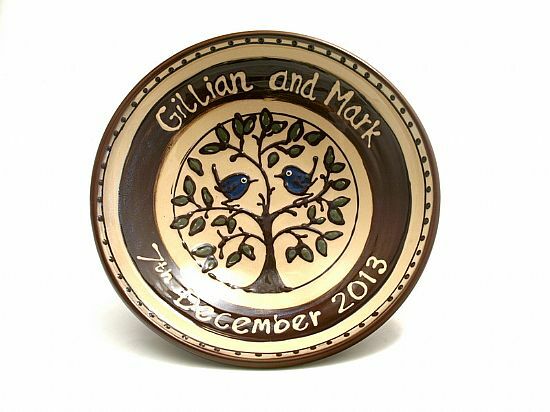 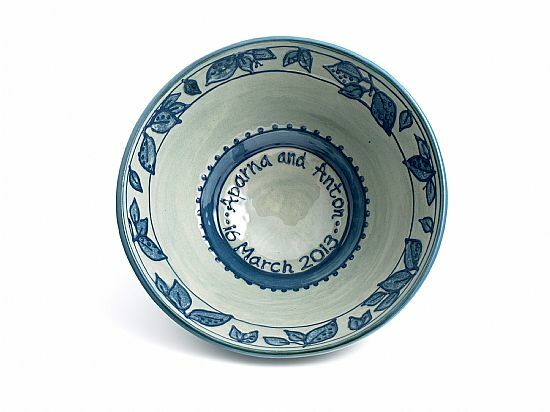 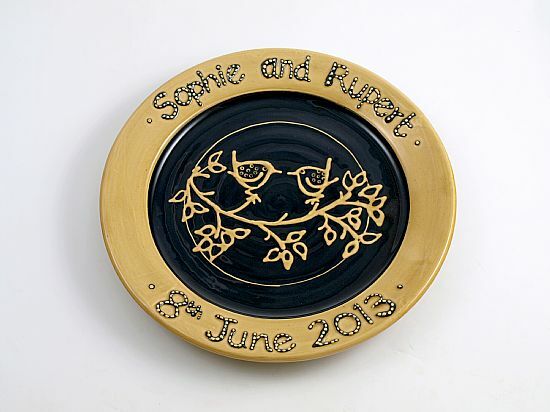 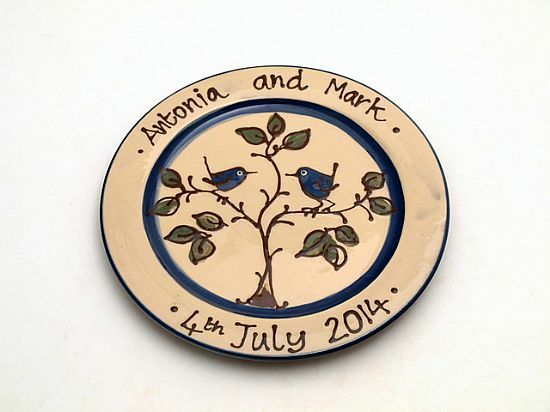 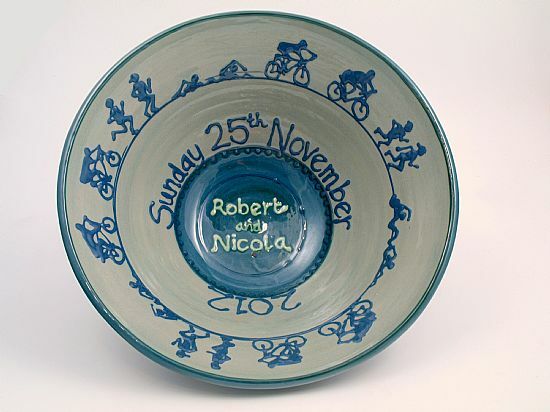 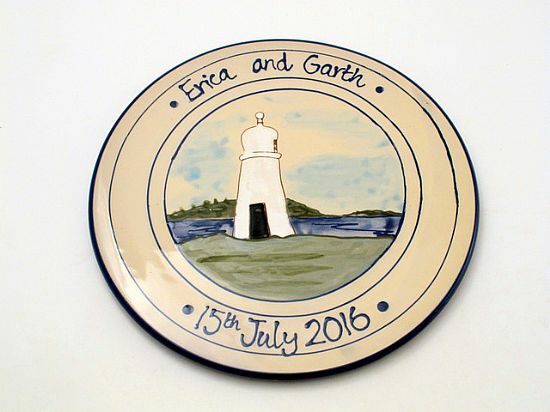 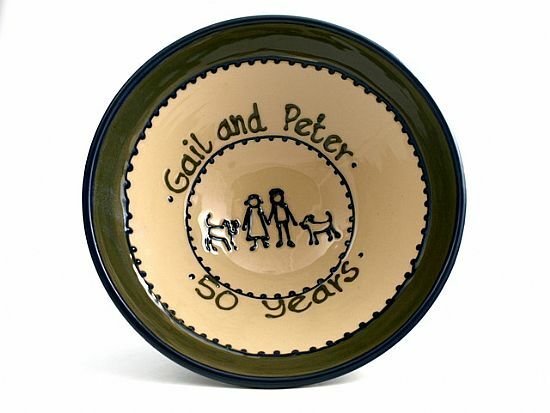 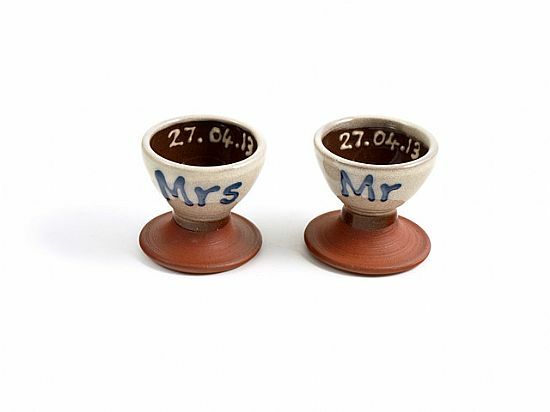 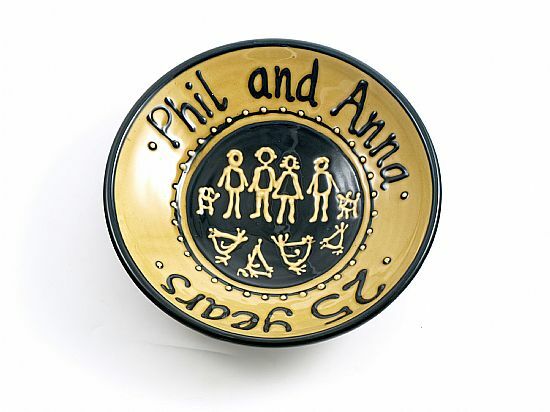 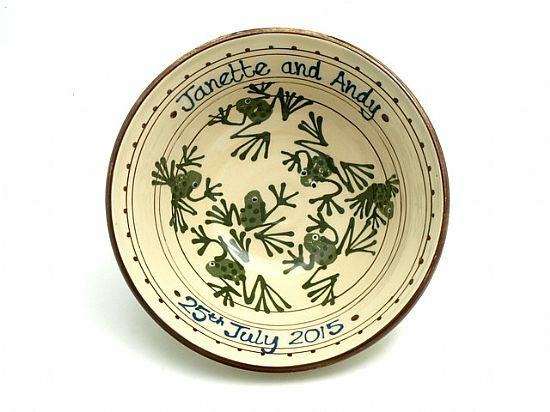 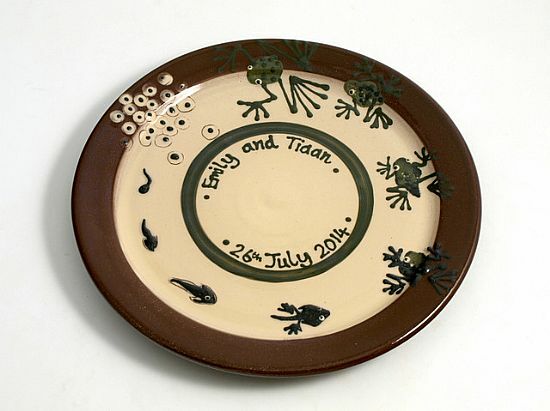 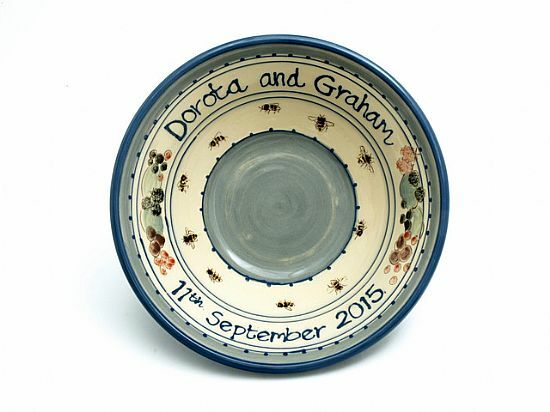 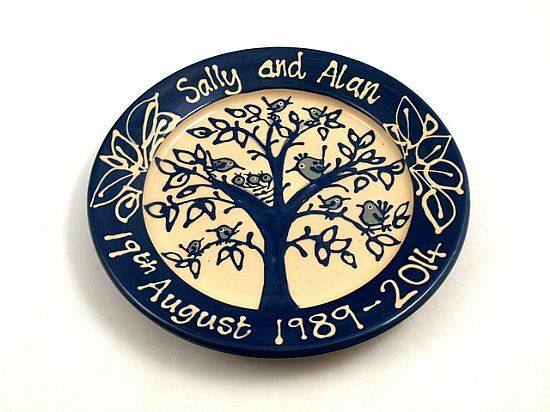 A personalised bowl can be the perfect gift to mark a special occasion - whether its a wedding, anniversary, birth, big birthday or christening. 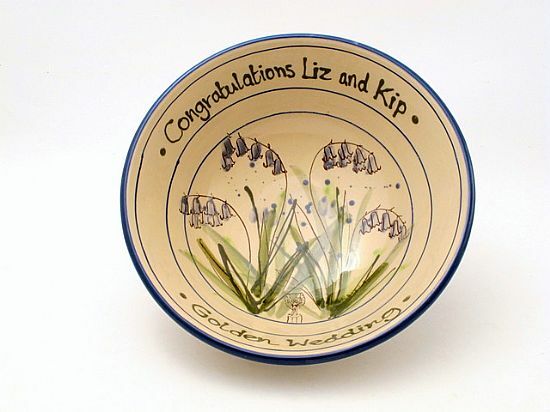 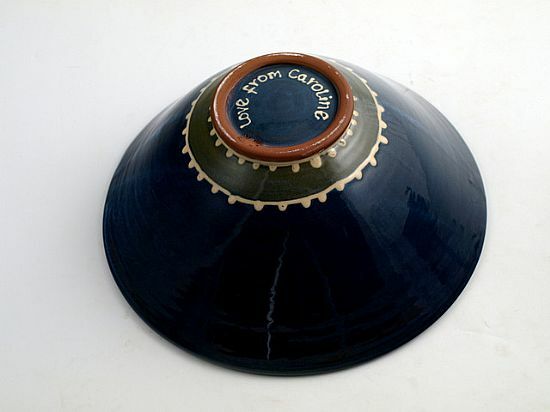 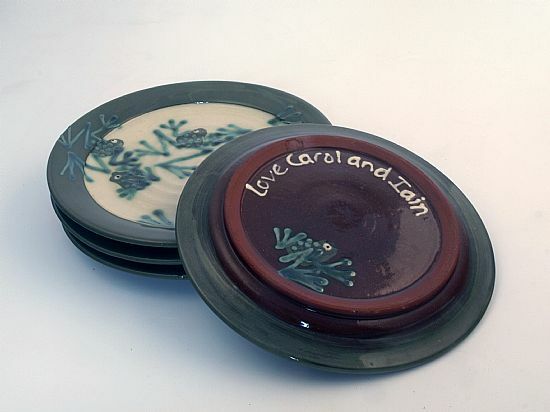 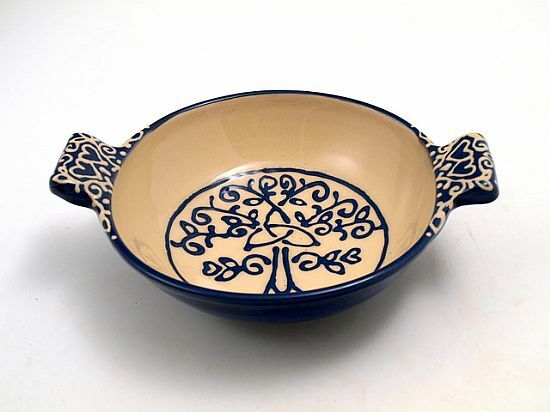 This includes your choice of decoration and text on the interior of the bowl and, if desired, text on the underside too. 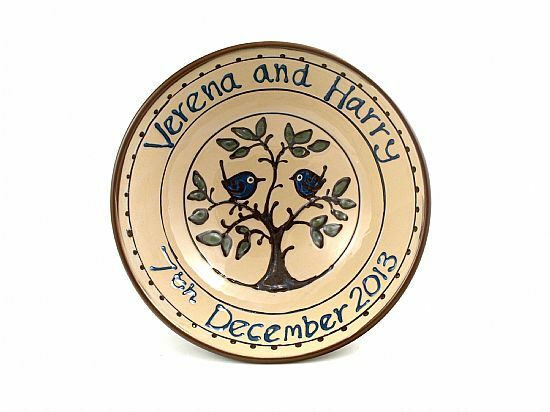 Contact me to enquire or place an order (please note that I need at least six week's notice to guarantee delivery by a particular date). 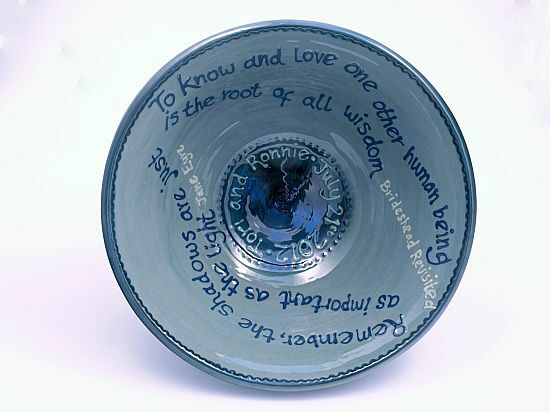 Spot the hidden world cup trophy! 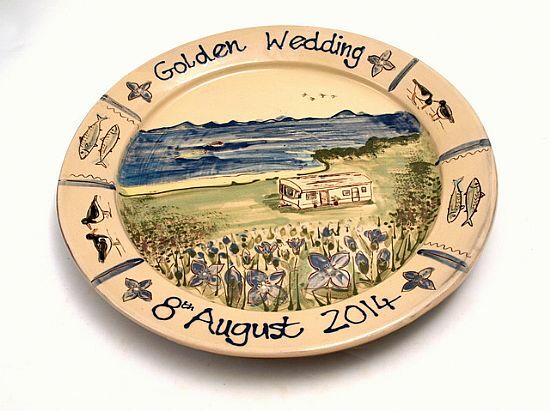 With wedding date on reverse.